Do you speak this language? Do you want to become administrator here? Click on this link! ny raki-pahalalana malalaka azon'ny tsirairay ovaina. I Google (vakio hoe Gogaolina) dia sehatra internet anankiray ahafahana manao kajy. Soratanao eo ohatra hoe 3+3 dia tsindrianao ny bokotra Midira, dia avoakany ny valiny hoe 6. Dia avoakany eo ny valin'izany kajy izany. 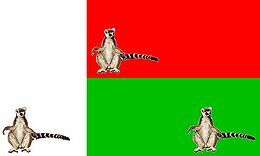 If you are a Madagascan looking for inspiration and help on your uncyclopedia, please go HERE. Creative Commons Attribution-NonCommercial-ShareAlike no mifehy ny fampiasana ny votoatin-kevitra eto.